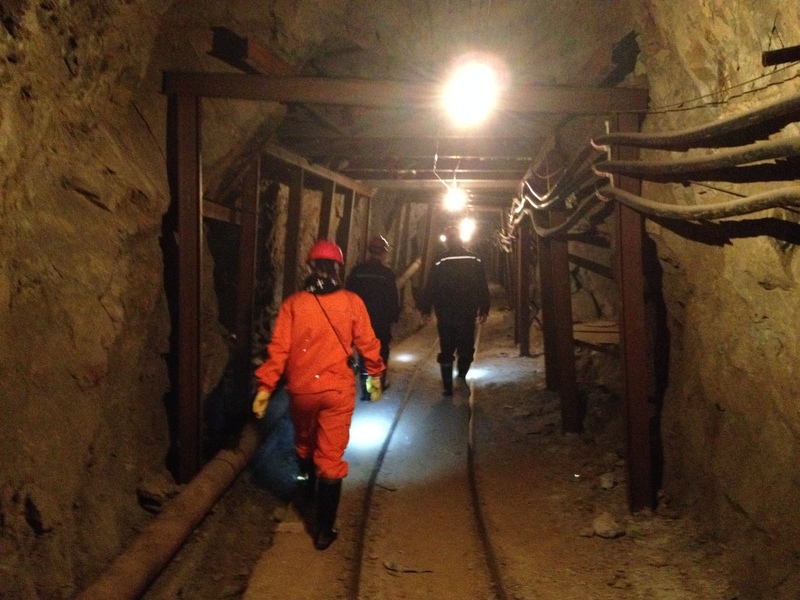 Silvercorp acquired the LM silver-lead mine in November 2007. The LM mine is located just south of the TLP mine and east of SGX mine about 12 km (240 km southwest of Zhengzhou, the capital city of Henan Province in central China). 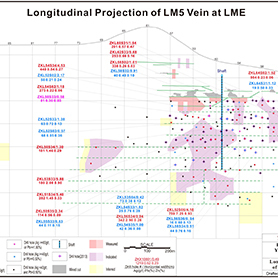 The LM mine is divided to two subareas LME and LMW according to distribution of known mineralized veins, which are 2.4 km apart. The LM mine operates under the Tieluping-Longmen Mining License covering an area of 22.916 km2. Silvercorp commenced production at the mine in March 2008. The LM property is owned 100% by Henan Huawei Mining Co. Ltd. (Henan Huawei), a sino-foreign cooperative JV company owned 80% by Silvercorp and 20% by Luoning Huatai Mining Development Co. Ltd. (a private company). Henan Huawei purchased the LM property in 2007 at an approximate cost of $3.25 million. Mining and exploration activities began in 2005 and the LM mine was producing approx. 300 tonnes of ores per day by 2007. 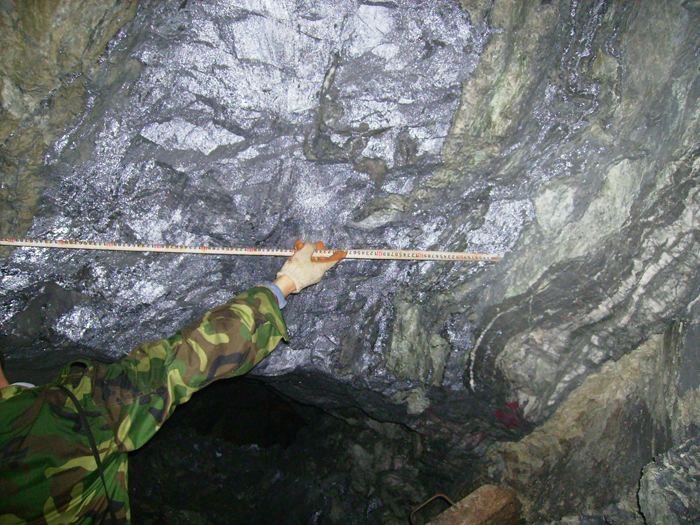 No resource was estimated as the previous operator was only interested in mining any ore shoots found along the veins. 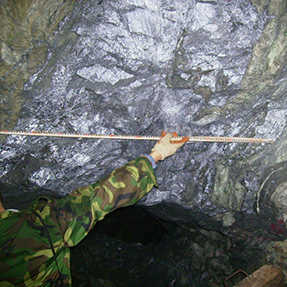 Most mining activities were focused on the high-grade ore shoots of just two veins, each close to 1 km in strike length. 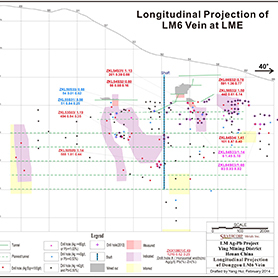 There are 93 known mineralized veins at LM mine (19 at LME and 74 at LMW). Many of these veins were discovered by recent exploration campaigns since 2010. 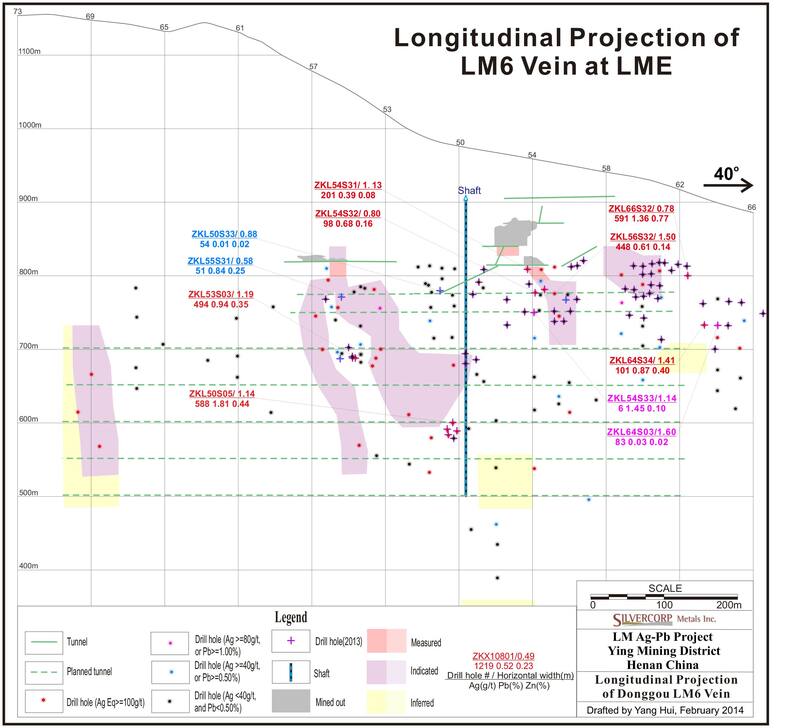 In the LME mine, 19 veins with steep dips to either east or west, three largest veins LM5, LM5E and LM6 constitute 59% of the mineralization defined to date. 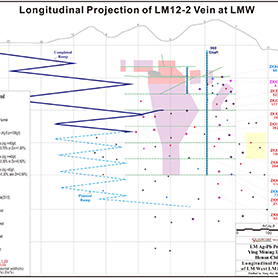 74 veins in LMW mine have been identified as two sets by different trending to either north-east (such as LM7, LM12, LM13 and LM17) or north-west (such as LM14, LM19W1, LM19W2, LM20, LM8 and W18), and majority of veins steep dip to north-west while others dip to either north-east or south-west. 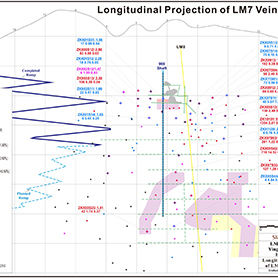 The veins in LM area are generally similar to those found throughout the Ying district, occurring as sets or systems of veins of similar orientation which are enclosed by steeply-dipping fault-fissure zones that extend for hundreds to a few thousand meters along strike. The veins are narrow, tabular or splayed, with rich mineralization often occurring in pockets or ore shoots too often having vertical and horizontal extents of several tens of meters or more. The mineralization consists mainly of galena (lead sulfide) with lesser amounts of sphalerite (zinc sulfide), chalcopyrite (copper sulfide) and sparse amounts of other metallic minerals. The metallic minerals occur as disseminations or massive accumulations in a gangue of quartz and carbonate minerals. Silver is present mostly as microscopic inclusions in the galena. 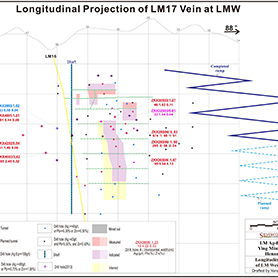 LM area (LME and LMW) has been an operating mine for many years. 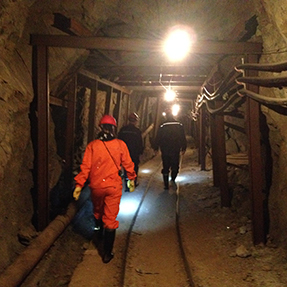 In the LME mine, access is via one adit, three shafts and two inclined haulageways. The mining method by tonnage was 32% resuing and 68% shrinkage in fiscal 2016. LME contributed 12% of Ying ore tonnes and 14% of Ying Ag ounces in fiscal 2016. In the LMW mine, access is via four adits, two shafts, and one ramp. The mining method by tonnage was 91% resuing and 9% shrinkage in fiscal 2016. LMW contributed 13% of Ying ore tonnes and 12% of Ying Ag ounces in fiscal 2016. The ramp developed from surface to 635 mRL is 3,599 m in length. The 969 shaft in LMW mine has total depth of 480 m from surface, and with hoisting capacity of 15,000 tpa of combined ore and waste. 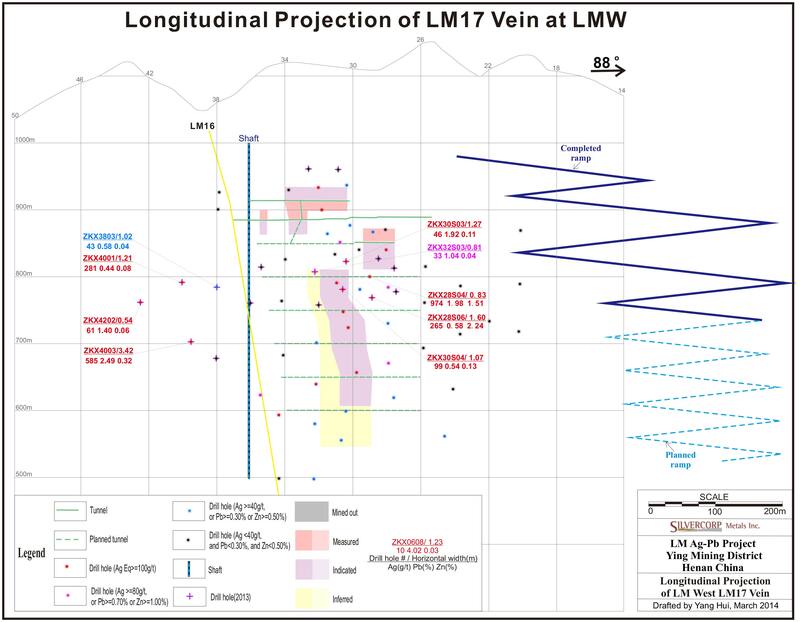 LOM production is envisaged through to 2023 from veins lying between the 970 and 210 levels that are largely 1 m or less in width, although some are up 6.7 m. All mining and development activities are completed by a mining contractor. 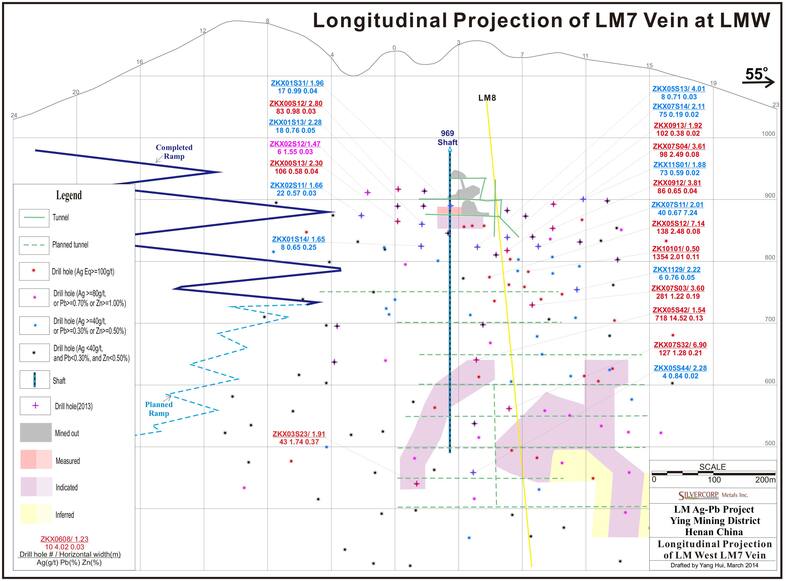 Currently, Silvercorp continues to focus on upgrading and expanding resource blocks along major mineralized vein structures LM2, LM3, LM5, LM5E and LM6 in LME mine, major vein structures LM7, LM8, LM19W1, LM19W2, LM17, LM16, LM14 and LM30 in LMW mine using existing underground mining infrastructure to access these veins. 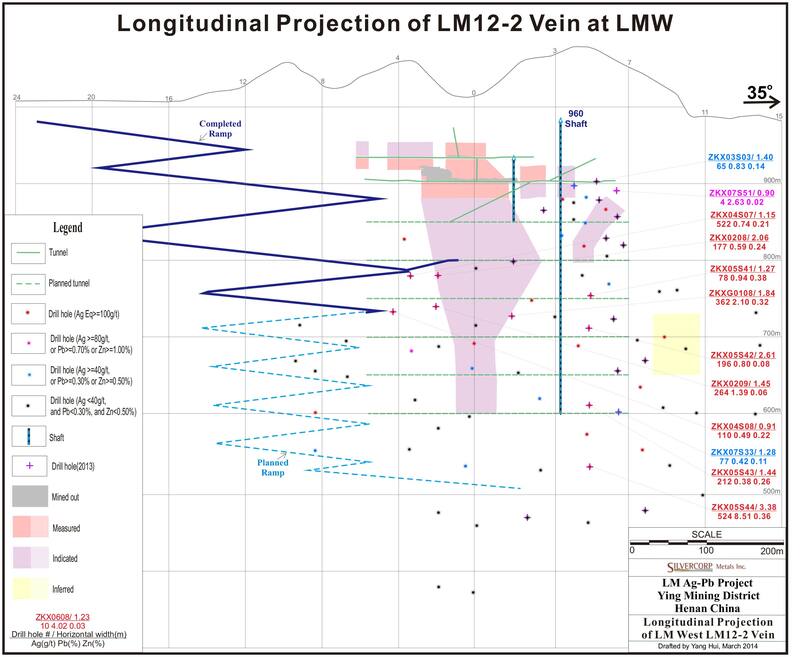 A comprehensive exploration program including underground tunneling and drilling is continuing to extend and expand the known mineralization along strike and down-dip, and to explore for new veins at or above the current mining depth within the mineralized structures. 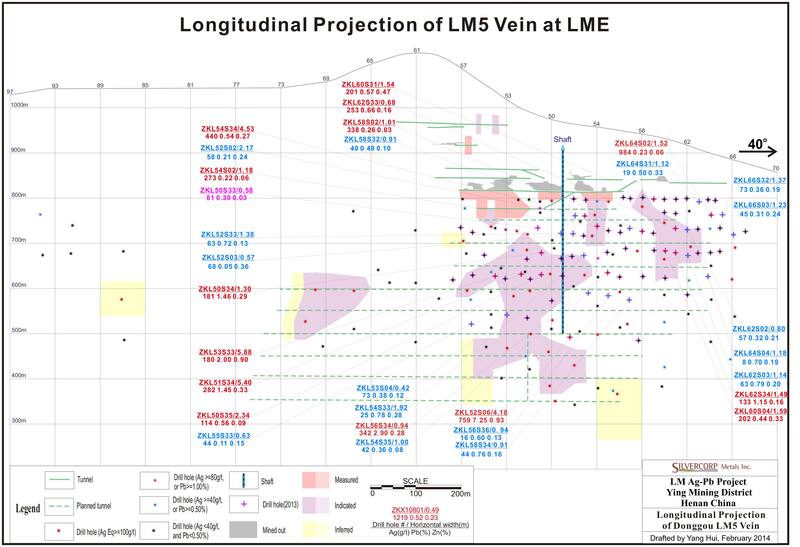 To date, the exploration program added remarkable new mineralized zones within major production veins.